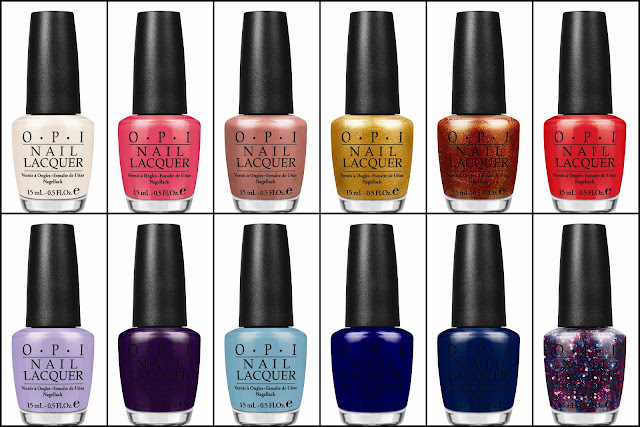 The OPI Euro Centrale Collection has taken over the blogosphere with some very excited bloggers out there! And I am jumping right on this bandwagon too as I LOVE this collection. There are some really wearable shades in this collection and I can't wait to see them in the flesh especially the gorgeous Polka.com which is the turquoise/purple glitter top coat! I really like how this collection includes a wide range of colours that are a bit different. The coral red looks gorgeous! One of my favourite polishes is OPIs Cajun Shrimp and this looks like it could be a close contender! What is your favourite nail polish colour? Are you a nudes and muted or a brights kind of person?